Below is an excerpt from the third trip report of the Interfaith Peace-Builders (IFPB) delegation to Palestine/Israel. It was written by Marianne Torres. “I have two young children who are always scared to go to sleep now, want to sleep in her bed and be with her all the time. They wake in the night crying. It has been 2 years and 7 months, but we will remain steadfast. We will not give up." Mariam is a refugee from the Nakba in 1948. The Israeli government has been evicting Palestinian families who settled in Sheikh Jarah for years, as they are in the process of building a Jewish-only corridor from West Jerusalem to Hebrew University, right through the middle of Palestinian neighborhoods in East Jerusalem that are not in the state of Israel. We also heard from members of the Hanoun family, and several others whose names went by too fast for me to capture, and I apologize for any names I did not get correctly. Mr Hanoun told us how they had acquired the home in 1956 when they bought the land from the government of Jordan and UNRWA helped them build the house. After living there for decades, the Israeli soldiers came for his family at 4:00 a.m. and he also explained that they slept under the trees for 6 months "to show what happened". He said "they have transferred our family again and again, and it is not fair." He said "we need support from all the volunteers who come to us, to help us stop more evictions." He said we must pressure the Israeli government and the American government. He said we had to "stop giving money to Israel for building settlements on top of our houses." We heard from others that these families celebrated Ramadan (a serious challenge) and Eid while living under the trees through the winter. All the time they were there, Israeli settlers attacked the children. When they called the police about it, the police arrested the Palestinians and did nothing at all to the settlers. (We hear this constantly, everywhere we go). They arrested women as easily as men, and every arrest resulted in a heavy fine. One time the harassment and bullying was so bad that Mr. Nabil called the police, who told him to go to the Police Station to make a complaint. He did that, and was arrested and held for 3 days. Nothing was done about the settlers' behavior. Another young woman, a college student, spoke passionately about the experience. She told the same story Miriam had told, but with her own pain, her own passion. One of our group filmed it and I am eager to share it. Part of Myrta's response was "who on earth sat to think about all the ways these people are tormented? How did they come up with the plans that make every Palestinian's life miserable?" As we spoke about it later, we both realized that we cannot find ways to describe this Master Plan for Ethnic Cleansing - the closest we got was Myrta's description of "evil genius", but that really doesn't touch it. I'm so very sorry that we did not have that whole visit with the family on film. The power of hearing from the people themselves what they experienced, to hear their anguish and their anger was nearly overwhelming. Several of us (including me) spoke later of the deep sense of shame we felt, listening to them. I really have no vocabulary, or perhaps not the emotional bottle right now to speak more of this day. Read more on IFPB's website. Tonight: Conference Call on U.S. Military Aid! 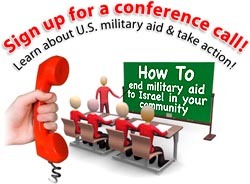 Join us for a conference call tonight, Thursday, May 31, at 9pm EST to learn more about U.S. military aid to Israel, and to hear from inspiring activists across the country about the creative things they are doing- from ad campaigns, to campaigns in city councils, political parties, religious institutions, and more- to educate and organize people for change. Join the call by dialing 209-647-1600 and entering 489902 for the participant code. Josh Ruebner is National Advocacy Director at the US Campaign. “Some Israeli settlers reportedly used violence against Palestinians as a means of harassment and to keep them away from land that settlers sought to expropriate … Settlers also exploited religious tensions to harass Palestinian villages by vandalizing, breaking into, or burning 10 mosques. If you were the typical member of Congress who believes that Israel is a shining beacon of light to humanity and the greatest thing since sliced bread, then you would probably answer one of the following: some anti-Semitic agency of the United Nations, an obviously biased Palestinian organization, or one of those self-hating Israeli organizations. These quotations come from the US State Department’s Country Reports on Human Rights Practices for 2011, released on 24 May. Despite the muted language, the report paints a damning picture of Israel’s human rights abuses of the Palestinian people. From governmental and societal discrimination based on ethnicity (the international definition of apartheid), to flagrant violations of the Universal Declaration of Human Rights and the Fourth Geneva Convention, the State Department scratches the surface of Israel’s atrocious policies toward Palestinians in this report. If it wasn't enough that President Obama increased military aid to Israel to $3.1 billion in this year's budget request while proposing major cuts for services to U.S. citizens such as a $360 billion cut over ten years in Medicare, Medicaid and other health programs, the House Appropriations Subcommittee on Defense earlier this month approved even more money for Israel. The additional $949 million in weapons means that we as taxpayers may end up giving Israel $4 billion in military aid this year, roughly 25 percent more than last year. U.S. military aid to Israel is already higher than the foreign aid programs to all of sub-Saharan Africa combined. This increased money not only takes away from money that is needed for our communities, but makes us even more complicit in and responsible for Israel’s continued human rights abuses against and apartheid policies toward Palestinians. 1. Write a letter to President Obama and your Members of Congress. If you are on Twitter, tweet this message to them about ending military aid. You can find your representative's twitter handle on this website. 2. Join a conference call this Thursday, May 31, at 9pm EST to learn more about U.S. military aid to Israel, and to hear from inspiring activists across the country about the creative things they are doing- from ad campaigns, to campaigns in city councils, political parties, religious institutions, and more- to educate and organize people for change. Join the call by dialing 209-647-1600 and entering 489902 for the participant code. 3. Sign up to receive a packet with materials to educate and organize people in your community to end U.S. aid to Israel. When you sign up, you’ll be joining organizers in more than 1,000 cities doing this crucial work. We’ll send you postcards, fact sheets, fliers, stickers, posters and more to enable you to educate and organize people in your city. 4. Join with other activists or organizations in your community to run a high-profile ad campaign to raise awareness about the moral and financial costs of giving Israel weapons and/or learn more about how we can help you organize a campaign to get your city council to pass a resolution to end aid to Israel and redirect the money to unmet community needs. Help change U.S. policy toward Israel/Palestine to support human rights, international law and equality. 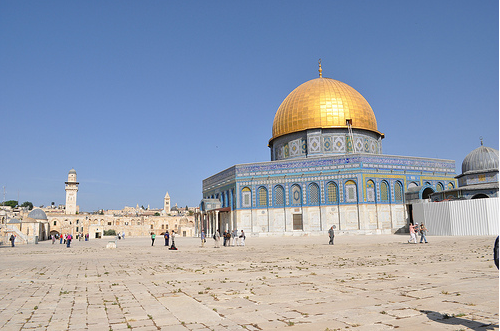 Below is an excerpt from the second trip report of the Interfaith Peace-Builders (IFPB) delegation to Palestine/Israel. My participation in the May 2012 delegation was blocked by Israeli officials at the airport who deemed me "a security risk." After an eight-hour wait with several interrogations, I couldn't help but laugh at the idea that a Quaker mother of two had the ability to be a risk to one of the most powerful countries in the world. The questions started at passport control. What is your father's name? What is your grandfather's name? I was immediately escorted to a dirty waiting room to await further interrogation. I was questioned no fewer than seven times and was asked directly, "Are you a terrorist?" All this because I am a Palestinian and I refuse to be silent. The Israelis demanded access to my gmail account. When I refused to provide my password, they said that I must be hiding something sinister. They obviously knew about my activism for Palestinian rights. They asked about my political activities at home and what organizations I worked with. I was taken to security to claim my suitcase. They went through my belongings thoroughly and searched me (but thankfully did not make me strip my clothes). When they discovered that I had taken detailed notes about my interrogations, the lead interrogator was furious. He accused me of sound recording or photographing the questioning. He was especially interested in my notes about my phone conversation with a staffer at the U.S. Embassy in Tel Aviv. IFPB alerted the Embassy to my detention and the staffer had called me earlier at the airport. I told them that the Embassy advised me to keep a record of my treatment. They seemed to be a little nervous at that point. I was able to inform the delegation co-leader, my dear friend Anna, that I was being deported. She had been at my side throughout the entire ordeal prior to my search in security. I knew she was imagining the worst during my hour-long absence. I was taken to a prison cell where I stayed for several hours and then driven onto a runway to board a commercial flight to Europe and then onto the States. How grateful I was to find Mike Daly of IFPB waiting for me at Dulles. I was unable to reach my husband Steve from the airport in Frankfurt and no one was sure of my whereabouts for 12 hours. I feel especially sick about all the worry this caused to my family and friends. I am also so sorry to miss being on this trip with my amazing friend Nancy. We had been looking forward to sharing this time for months. As I was sitting in prison waiting for my deportation, I could not help but think of the thousands of Palestinian prisoners in Israeli detention with no idea of when or if they will ever be released. I thought of the millions of Palestinians denied the right to return to their homeland by Israel. Israel has created and maintains through violence a Jewish majority at their expense. My experiences of detention and deportation were scary. I am disappointed to be missing the delegation trip and my cousin's wedding in the West Bank on June 9, but my ordeal is only a small part of Israel's systematic oppression of Palestinians. In fact, I am among the very lucky and privileged. I am at home now unharmed with my beautiful family. 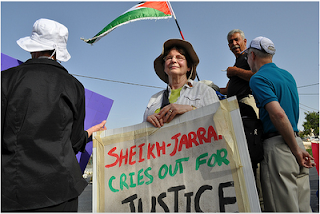 My privilege demands that I speak fearlessly against the injustices of Israel against the Palestinian people. Count on hearing from me. Our coalition member group Interfaith Peace-Builders (IFPB) is currently leading their 40th delegation to Palestine/Israel. Below are excerpts from their first trip report. Myrta and I are getting quite excited about the possibilities when we return! This trip has an environmental theme and we are going to learn a lot more about land use, water, and pollution here than we ever expected! We'll be able to speak to new audiences with this info (click here for photos from our first day). We left the hotel early, without Anna, one of the trip leaders, who only arrived at the hotel about 2 am, having spent 10 hours in the little holding room with our fellow delegate who was not allowed in with us. This one ended badly, with the first Interfaith Peace-Builders (IFPB) delegate to be turned away in 10 years. It was hard on everyone as we are already forming bonds, but particularly on her traveling partner who is a good friend of many years. Anna joined us later in the day today. Jeff Halper, of the Israeli Committee Against House Demolitions, gave us a brilliant and passionate presentation. To him, the “American-Israeli” occupation has long been the major conflict pitting the West, especially the US, against the Muslim world. He is pessimistic and he feels that Netanyahu’s total intimidation of Obama (and AIPAC's of Congress) has made the Israeli government confident that it can now get away with outright annexation of roughly 60% of the remaining Palestinian land (“Area C”). The group was impressed with his response to the oft-heard charge that Palestinians are to blame for their lack of effective leadership. By contrast, he notes the systemic and unrelenting effort by Israelis to quell any and all political opposition by intimidation, assassination, torture, forced separation from family and imprisonment. By his estimate, more than 4,000 Palestinians are currently in jail for politically related charges. We met with Jeff Halper, of ICAHD. Jeff made an analogy to a fishbone caught in your throat. It's just a tiny, tiny thing, just as this area is tiny, but when it's stuck, everything stops until you un-stick it! Jeff's presentation received mixed reviews. Some felt he was too tepid about BDS (Boycott, Divestment, and Sanctions), others felt he was only saying that it was not going to change anything by itself but that it is an excellent tool for Americans to use. At one point, he said "it's all over" about a Two-State solution (no surprise) and that it's also all over for a One-State solution - that WAS a surprise. He says 'one-state" is "not even on the table" as most world leaders do not yet support it, as he believes world leaders are not ready to support "the end of the Jewish State" and, he says "there is no readily apparent solution that I can point to" but later said he supports "regional organization" rather than One State. My disagreement here, of course, is that the end of a sate which runs on a system of apartheid and legal racism, would surely be the best place to start! Read more and find photos at IFPB's website. Yousef Munayyer is executive director of The Jerusalem Fund and its educational program, The Palestine Center, which is a member group of the US Campaign to End the Israeli Occupation. This piece was published in The New York Times on May 23, 2012. I'm a Palestinian who was born in the Israeli town of Lod, and thus I am an Israeli citizen. My wife is not; she is a Palestinian from Nablus in the Israeli-occupied West Bank. Despite our towns being just 30 miles apart, we met almost 6,000 miles away in Massachusetts, where we attended neighboring colleges. A series of walls, checkpoints, settlements and soldiers fill the 30-mile gap between our hometowns, making it more likely for us to have met on the other side of the planet than in our own backyard. Never is this reality more profound than on our trips home from our current residence outside Washington. Tel Aviv’s Ben-Gurion International Airport is on the outskirts of Lod (Lydda in Arabic), but because my wife has a Palestinian ID, she cannot fly there; she is relegated to flying to Amman, Jordan. If we plan a trip together — an enjoyable task for most couples — we must prepare for a logistical nightmare that reminds us of our profound inequality before the law at every turn. Continue reading at The New York Times. Last week marked the 64th anniversary of the Nakba, a day when Palestinians commemorate the dispossession and ethnic cleansing of Palestine that resulted in more than 800,000 Palestinians becoming refugees. Yousef's story resonates with Palestinians across the world and exposes the apartheid policies of Israel towards Palestinians. After you read, send a letter to the editor (letters@nytimes.com) about this piece. Letters should be 150 words or less. Share with your Facebook friends and tweet to your followers. 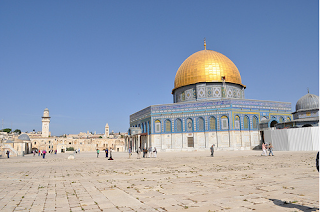 Our coalition member Interfaith Peace-Builders (IFPB) are proud to announce that their 30 member delegation to Israel/Palestine arrived at Ben-Gurion airport this past Monday morning and is in Jerusalem. The delegation includes our National Organizer Anna Baltzer. The purpose of this delegation, the 40th to make the trip since 2001, is to educate North Americans about the region and deepen their understanding of its conflicts. Participants on this delegation will have the unique opportunity to hear directly from Palestinians and Israelis regarding the environmental effects of military occupation. 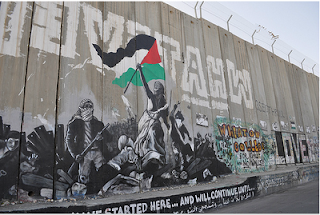 May also marks the annual commemoration of Israel’s independence and the Palestinian Nakba (Catastrophe) and the birth of the Israeli-Palestinian conflict. In commemoration of these events, Palestinians and Israelis engaged in numerous nonviolent demonstrations, including symbolic marches of to depopulated villages in Israel. Participants will speak with Palestinians and Israelis about these developments and learn from peace activists, civil society leaders, human rights workers, and others in Palestinian and Israeli areas. Read more about the delegation. Kristin Szremski is a member of the US Campaign Steering Committee, an independent journalist and the director of media and communications at American Muslims for Palestine (AMP). 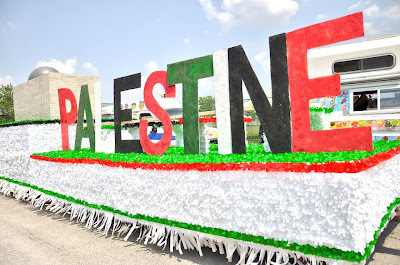 The Chicago chapter of AMP recently held their second annual Palestine Parade to commemorate the Nakba. Kristen put together the following piece for CNN iReport about the entire day's events. "The main message was that the Nakba, which began the process of ethnically cleansing Palestinians from their homeland, continues today because of Israel's occupation," she told the CNN iReport producer. "The message was that Palestinians will not forget 1948, and that Palestinian Americans will continue to work to educate the American public about the occupation so that one day the public will encourage their elected officials to craft a more balanced and equitable foreign policy for everyone in the Middle East." Throughout the day, at least 3,500 people from several states including Iowa, Missouri, Wisconsin and New York, attended an outdoor Palestinian heritage celebration, hosted by the Chicago chapter of the American Muslims for Palestine on May 20 in Bridgeview, IL. From the lively Palestine Parade, replete with horses, floats, folk music, and an overwhelming presence of Palestinian flags billowing in the wind, to dabka (folk dancing) performances, freshly baked bread from replica ‘taboons’ (clay ovens), and educational tents highlighting the villages of Deir Yasin, Asqalan and Jaffa, the sixth annual event focused on passing passing along Palestine’s rich cultural and historical heritage to succeeding generations of Palestinian Americans. The event also remembered those who were forced from their homes and villages in events leading up to the creation of the state of Israel, known to Palestinians and their supporters as the "Nakba" or Catastrophe. AMP-Chicago’s second annual Palestine Parade hit the streets with more floats and a beautiful matched pair of horses pulling an antique-style carriage. In addition to floats carrying AMP dabka troupes, Girl Scout troop # 70528 from Lockport/Homer Glen, also joined the parade. Lively nasheed, and numerous Palestinian flags livened up a Bridgeview-area neighborhood as it wound its way along the parade route, gathering participants as it went. 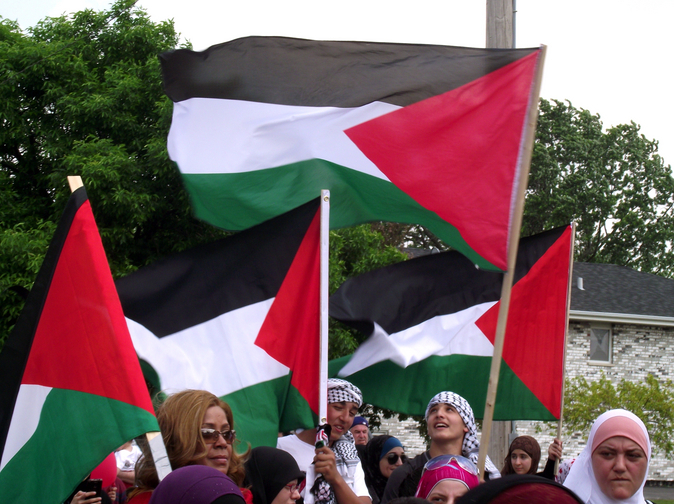 No Palestinian cultural celebration would be complete without dabka performances, and AMP-Chicago’s 6th annual Nakba event was no exception. Four dabka groups, including two AMP-Chicago children’s groups, Bier Nabala group and Sanabal al-Quds of Milwaukee, entertained throughout the day. Continue reading on CNN. Also find more pictures of the event on AMP's website. And make sure to share with your friends and followers. 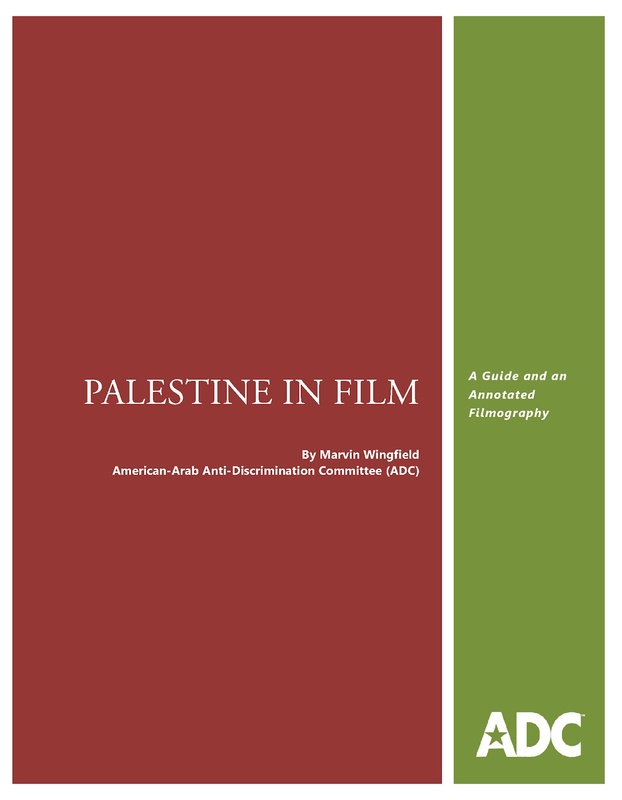 To commemorate the 64th anniversary of the Palestinian Nakba, the American-Arab Anti-Discrimination Committee (ADC), a US Campaign coalition member, announced the online publication of a guide to Palestinian film and film making. It features information on and access to hundreds of films and film institutions, giving an unprecedented overview of almost every aspect of Palestinian film making. This filmography provides detailed information on individual narrative and documentary films by and about Palestinians. Films included are both full length and short. Their subject matter deals with Palestinians in the West Bank and Gaza, in Israel and in exile around the world. The guide also has links to films, trailers, websites, articles, publications, film festivals and film distributors. Make sure to check it out and use the films as part of your work to change U.S. policy toward Israel/Palestine to support human rights, international law and equality. 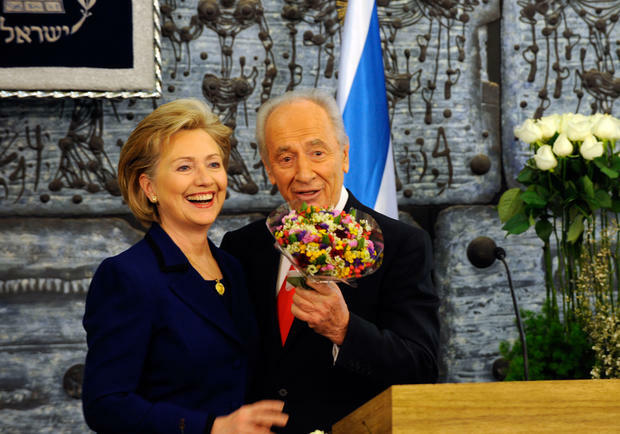 Is the United States "going above and beyond for Israel?" According to the Washington Post's Walter Pincus, the answer is yes. In his column today, Pincus asks provocatively, "Should the United States put solving Israel’s budget problems ahead of its own? When it comes to spending, it appears that the United States already is." What draws the ire of Pincus in today's column is the fact that nearly $1 billion of additional money for weapons to Israel is working its way through the appropriations process this year, in addition to a record-breaking $3.1 billion in military aid. We wrote about this development last week in Mondoweiss. Pincus notes the absurdity of providing Israel more than $4 billion in weapons this year, even though doing so will likely bring the United States closer to painful across-the-board budget cuts next year. He writes: "So here is the United States, having added to its own deficit by spending funds that it must borrow, helping to procure a missile defense system for Israel, which faces the threat but supposedly can’t pay for it alone." After you read the column, please add a positive comment to Pincus's brave truth-telling and then spread the word to your friends via social media. You can also write a letter-to-the-editor in support of the column. Instructions on how to do so are here. Let's make sure that the Washington Post hears plenty of encouragement and support from us for printing such an important opinion! Of course, we've been making for case for years that military aid to Israel comes at a moral and financial cost that we simply can't afford. Learn more about the budgetary trade-offs and the moral impact of providing weapons to Israel at our websites www.aidtoisrael.org and www.weaponstoisrael.org. Pincus's column is yet one more piece of evidence that discourse around U.S. policy toward Israel and the Palestinian people is changing in dramatic and positive ways. Help us continue this momentum by signing up to receive a packet to educate and organize people in your community to end U.S. aid to Israel. When you do, you'll be joining activists in more than 1,000 cities across the country who are doing this work and helping to shift the discourse as a step toward ending U.S. complicity in Israel's human rights abuses of Palestinians. At 1:30am on Tuesday, May 8, 2012, ten armoured jeeps of the Israeli occupation forces and intelligence surrounded and raided the offices of Stop the Wall in Ramallah. The Israeli military stole two laptops, three hard drives and ten memory cards containing files and photos, as well as archive material relating to the work that the organization does in opposition to Israel's apartheid wall. This raid is a renewed attack upon Palestinian civil society and their struggle against the physical and psychological oppression, land confiscation and ethnic cleansing policies of the Israel. Stop the Wall activists are counting on the solidarity of all their supporters across the globe in this latest attempt by Israel to repress their work. Make sure to share with your friends and tweet this to your followers and State Department. Find more information on their website. 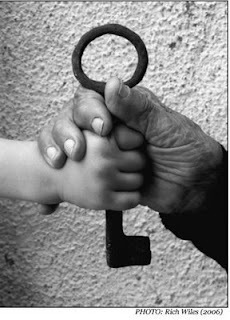 To the memory of all who have lost their land, homes, lives during the Nakba and to this day, may Palestinians around the world never lose hope. Come congregate with us- 531 of us, 1 for every village lost,-for a memorial in front of the White House on Tuesday, May 15, 2012 from 6:30pm till sunset. We will be joined by local students on a hunger strike in solidarity with Palestinian prisoners. -Mobile Art Exhibit "Faces of Nakba"
At sunset, 1 person, 1 candle, 1 village, 531 candles will be lit in remembrance and hope with a reading of Mahmoud Darwish’s Poem "I Come From There." Palestinian Christians published an open letter to delegates to the United Methodist General Conference urging them to support the church's resolution to divest from three corporations--Caterpillar, Motorola, and Hewlett-Packard--that are profiting from Israel's military occupation of Palestinian lands. The letter implores delegates not to be misled down the false path of "positive investment" as an alternative to divestment. As the signatories argue, "Many of you may be tempted to support 'positive investment' in Palestine as an alternative to divestment from companies that profit from Israel’s occupation. We sincerely believe that no amount of positive investment under Israel’s harsh occupation can truly alleviate the suffering of Palestinians and correct the injustice against them." The United Methodists will likely vote on this resolution today. To watch the deliberations LIVE, you can go http://www.umc.org/site/c.lwL4KnN1LtH/b.8038037/k.5731/Legislation__General_Conference_2012__The_United_Methodist_Church.htm and choose the option for live-streaming. Under Secretary of State for Civilian Security, Democracy and Human Rights Maria Otero spoke yesterday at the State Department on implementing the Guiding Principles of the UN Working Group on Business and Human Rights. Otero claims that "We must establish clear guidelines and reliable processes so that business can do their part in respecting human rights. The U.S. government uses our foreign policy to help strengthen the rule of law and human rights, which in turn improves the environment for prosperous business. It also ensures investment and innovation don’t violate standards of stable and democratic society." That sounds just fine and dandy, Under Secretary Otero. Here's a suggestion to help advance the United States' supposed concern for businesses respecting human rights: get the State Department to stop licensing Caterpillar D9 bulldozers for export to the Israeli military, paid for by U.S. taxpayers. As we've documented copiously over the years, Israel has misused these bulldozers in violation of the Arms Export Control Act and Foreign Assistance Act to commit human rights abuses of Palestinians, including the deliberate injuring and killing of civilians, the demolition of civilian homes and businesses, the razing of Palestinian agriculture, and the building of Israel's illegal settlements and Apartheid Wall. Under Secretary Otero, we challenge you to implement your fine words about the United States encouraging businesses to respect human rights: sanction Israel by ending U.S. taxpayer-funded weapons transfers of Caterpillar bulldozers and stop U.S. corporate profiteering from violations of Palestinian human rights. But, we're not waiting for you to take action either. Right now we're down in Tampa encouraging the United Methodists to divest from Caterpillar and other corporations that profit from Israeli military occupation. Follow the latest developments from Tampa on our Twitter feed here. It will come as no surprise to readers of this blog that the Obama Administration has repeatedly taken decisive measures in the United Nations to protect Israeli occupation and apartheid toward the Palestinians and to prevent the international community from holding Israel accountable for its numerous violations of human rights and international law. We've seen this over and over again. From undermining UN fact-finding missions on "Operation Cast Lead" and the Gaza Freedom Flotilla, to vetoing a mild condemnatory resolution in the Security Council about Israel's illegal settlements, to scotching Palestine's UN membership bid, the Obama Administration has doggedly worked to prevent the UN from protecting or advancing Palestinian human rights. For anyone who doubts this to be the case or was perhaps unaware of this, the Obama Administration has now usefully encapsulated its myriad efforts to protect Israeli occupation and apartheid in the UN. On April 24, Assistant Secretary of State for International Organization Affairs Esther Brimmer--a key player in the Obama Administration's effort to protect Israeli occupation and apartheid in the UN--delivered a speech to the American Jewish Community of Greater Miami and Broward in which she enumerated all of the ways in which the Obama Administration shields Israel from accountability in the UN. According to Brimmer, "We have opposed unbalanced, one-sided resolutions, at the UN General Assembly, the Security Council, UNESCO, the International Atomic Energy Agency, the UN Human Rights Council and elsewhere." Brimmer rightfully notes that "Over the past several months, we have engaged in a global diplomatic marathon to oppose the Palestinian membership bid in New York and elsewhere in the UN system." Not for the first time does Brimmer equate Palestinian efforts to secure their long-denied human and national rights through the UN as undermining Israel. 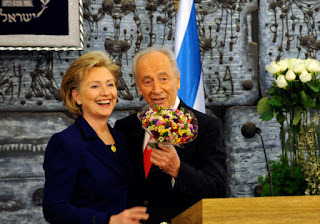 In her zero-sum mentality, "we vehemently reject [these] attempts to de-legitimize the State of Israel." For an Administration that came to office supposedly rejecting the us versus them foreign policy dichotomy of its predecessor, it is distressing to see the Obama Administration adopt this same type of rhetoric when it comes to its approach toward the Israeli-Palestinian conflict: any advance in Palestinian rights is a diminution of Israel's legitimacy. Is the Obama Administration also then willing to argue the converse? Namely, that Israel's "legitimacy" can only be predicated on the continual denial of Palestinian rights. That seems a bit illogical. Well, even if Brimmer failed to clarify how advancing Palestinian rights "delegitimizes Israel," at least she put in one succinct place all of the Obama Administration's efforts to protect Israeli occupation and apartheid. US Campaign National Organizer Anna Baltzer and Steering Committee member Sydney Levy write from Tampa where they provide an upbeat assessment of the impending vote of the United Methodist Church resolution on divestment from companies profiting from Israeli military occupation. Check out their article, "The Push for Divestment Continues as the Methodist General Conference Enters Its Second Week" on Mondoweiss. The Methodist vote is scheduled to take place sometime today. You can watch a live-stream of the proceedings by clicking here.